Would you like to be part of a close team of highly experienced clinicians in a well established central, city-based practice? Flex Sports Physiotherapy and Clinical Pilates is seeking an experienced, motivated Rehab Pilates Instructor to join our team from May 2019. We are a busy private practice established in 2008, with a strong clinical pilates and running injury management focus. We are also the largest clinic in Melbourne's CBD offering small group clinical pilates. We are passionate about our profession and very much value the team we have. Our client experience is very important to us and we always aim to provide exceptional patient care and rely on clinical expertise and teamwork to achieve optimal outcomes for our clients. Our treatment philosophy includes strong manual therapy and exercise prescription skills alongside clinical pilates, rehab pilates, strength conditioning and education to help our clients achieve their goals. Working with a diverse range of clients including musculoskeletal and sporting patient groups, with a solid referral network of sports doctors, surgeons and general practitioners. Paperless notation system working from iPads, online booking system, fully staffed front desk, the opportunity to use video analysis for running assessment and rehabilitation programming. A supportive, social and friendly environment with a team who value each other and also value what they do. We provide a structured mentoring program, in house training and ongoing professional development. Remuneration includes a fantastic base salary with performance incentives, in addition to financial support for external course work. The ability to design, teach, modify and progress individual pilates programs to small groups and individuals, achieving client’s rehab goals. This role will take on 14 existing group classes and a number of individual sessions, with the aim of driving the growth of the rehab pilates service within the clinic. A desire to contribute to our team and assist in developing additional services, workshops and on site training. If you have a current association memberships and insurances and a minimum of 3 years’ teaching pilates experience, value personal growth and development, and are available to work anywhere between 20 – 30 hours per week we would love to hear from you. 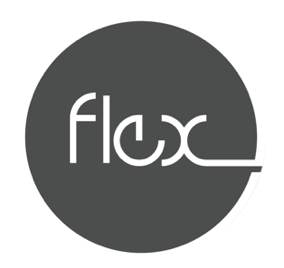 Please register your interest at naomi@flexphysio.com.au or call 0415322740 for a confidential discussion.